Would you like to be in touch with German speaking seniors, many of them migrants of the post war period? Do you enjoy bringing happiness and light into the homes of elderly and thrive on doing so? The impact this has is far reaching and is touching the heart and soul of those we care for. You will be rewarded when you see this impact. You will be respected and valued. St Christophorus Aged Care is a Not for Profit organization. 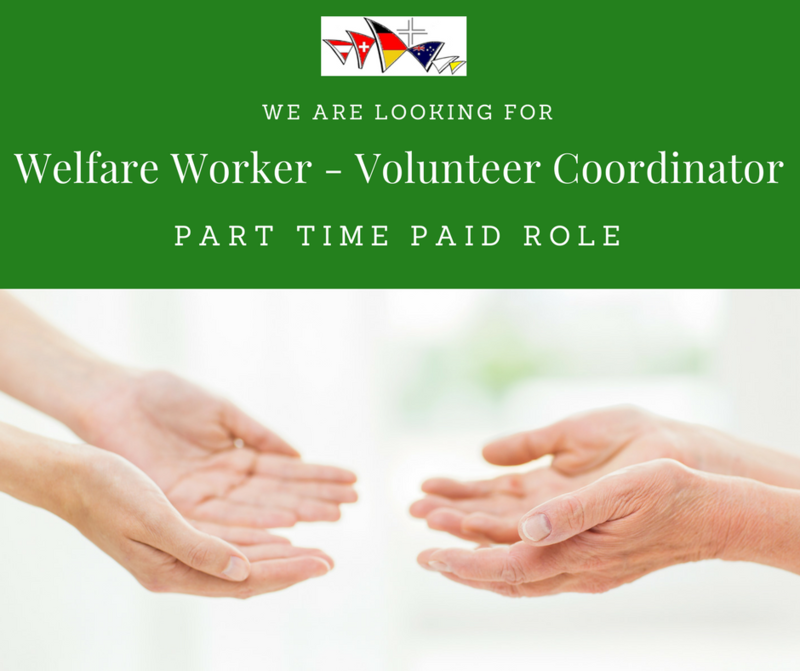 We are looking for a Welfare/Volunteer Coordinator to help us provide visitors as well as information, referral and advisory services to German speaking aged citizens of all backgrounds throughout Sydney. As Volunteer Coordinator you are responsible for recruiting, supervising, supporting and coordinating the volunteers. You will provide a quarterly written report to the St Christophorus Aged Care Committee in Croydon. Experience in managing and coordinating volunteers is advantageous, so is being multi lingual. You should be fluent in German. The right person for this role is well organized, enthusiastic, motivated and willing to help on a variety of aspects of aged care. You must be able to communicate well with the elderly and show patience. It is expected that you spend about 50 to 60 hours per month carrying out this role. selection criteria of the job description. Applications are to be mailed or emailed to the above postal or email addresses.